​11.2d Under the new Constitution, the young nation sought to achieve national security and political stability, as the three branches of government established their relationships with each other and the states.  Students will identify presidential actions and precedents established by George Washington, including those articulated in his Farewell Address. 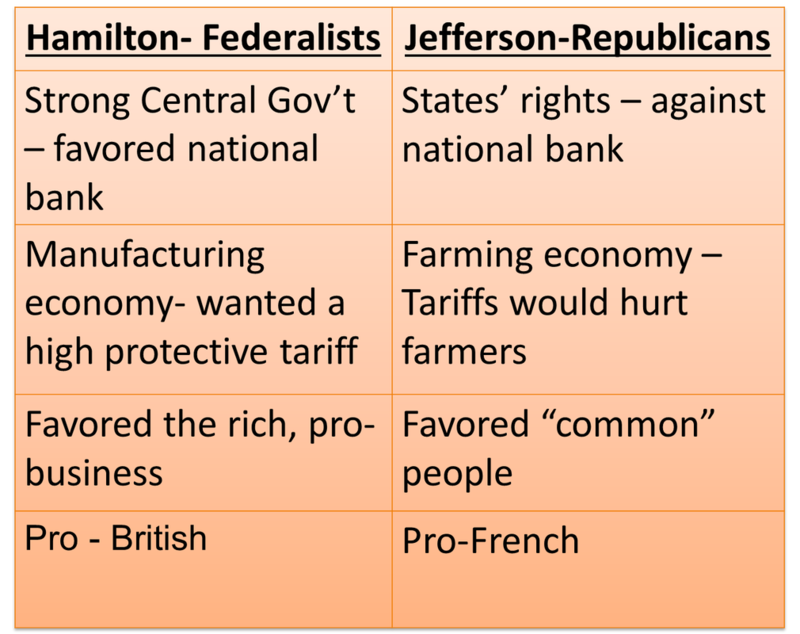  Students will examine Hamilton’s economic plan, the debate surrounding the plan, and its impacts on the development of political parties.  Students will examine the tradition of a peaceful transfer of power established in the presidential election of 1800 and compare it to the presidential election of 2000, focusing on the roles of the Electoral College and Congress in 1800 and the Electoral College and the Supreme Court in 2000.  Students will examine Supreme Court cases, including Marbury v. Madison, McCulloch v. Maryland, and Gibbons v. Ogden, and analyze how these decisions strengthened the powers of the federal government.